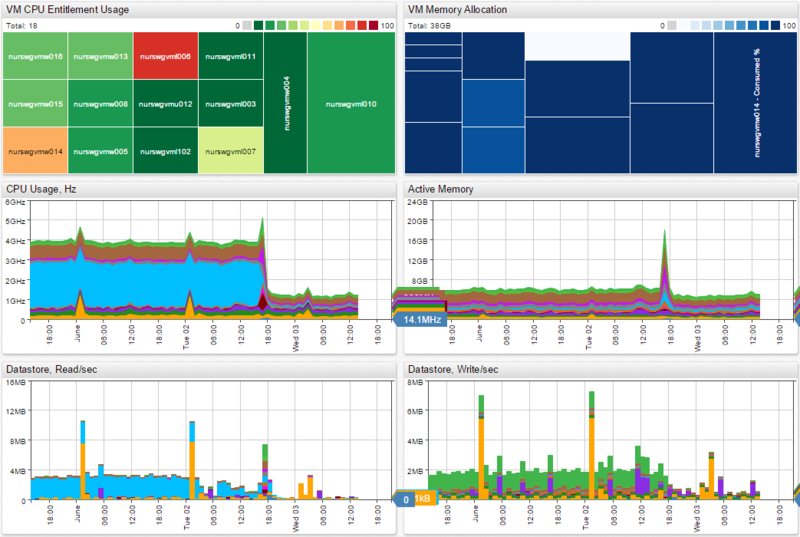 VMware vCenter collects and stores statistics from ESX servers in an Microsoft SQL Server database (VIM_VCDB) which Axibase Collector queries every 20 minutes to offload incremental statistics from VPX_HIST_STAT1 table into Axibase Time Series Database for long-term retention and operations analytics. See VMware integration instructions for technical details. 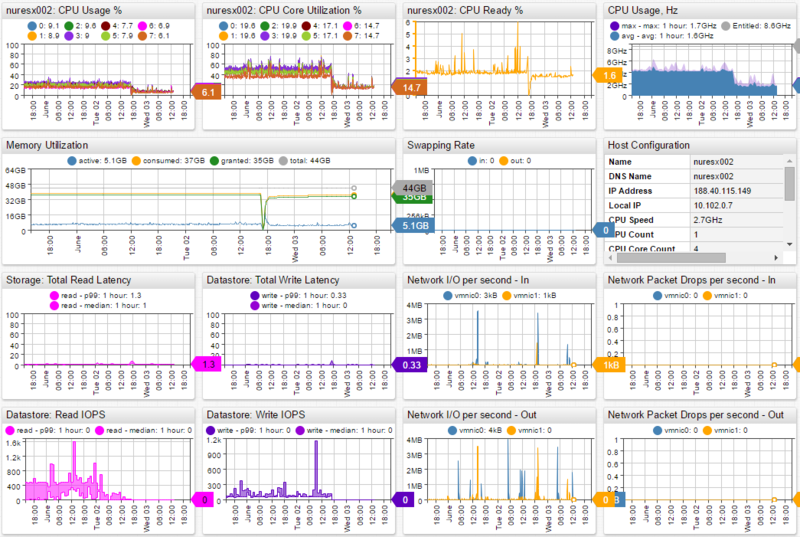 Launch live VMware Cluster Portal in Axibase Chart Lab. 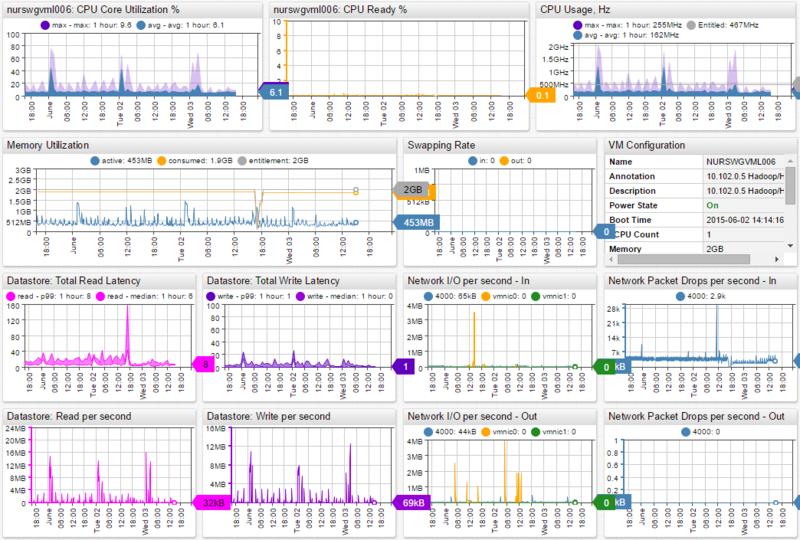 Launch live VMware Host Portal in Axibase Chart Lab. 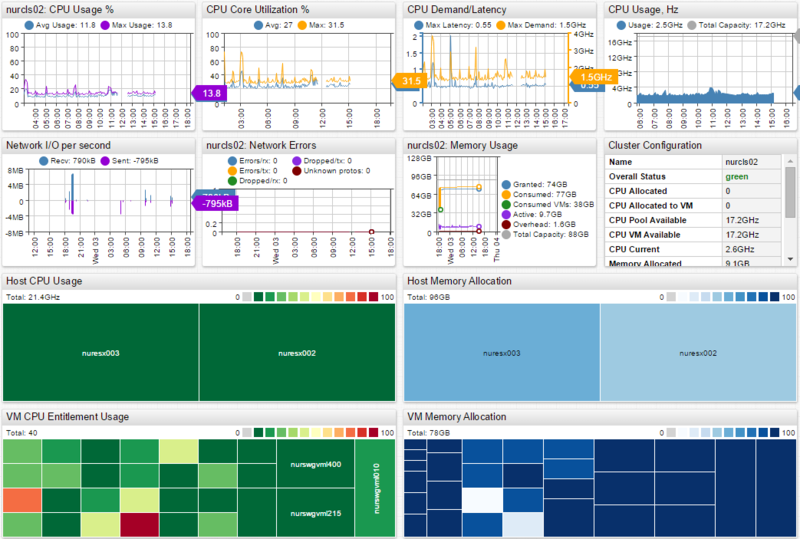 Launch live VMware Host VMs Portal in Axibase Chart Lab. Launch live VMware VM Portal in Axibase Chart Lab.